Check out the newly released FRA 289 Schedule of Events and Activities for December 2015. 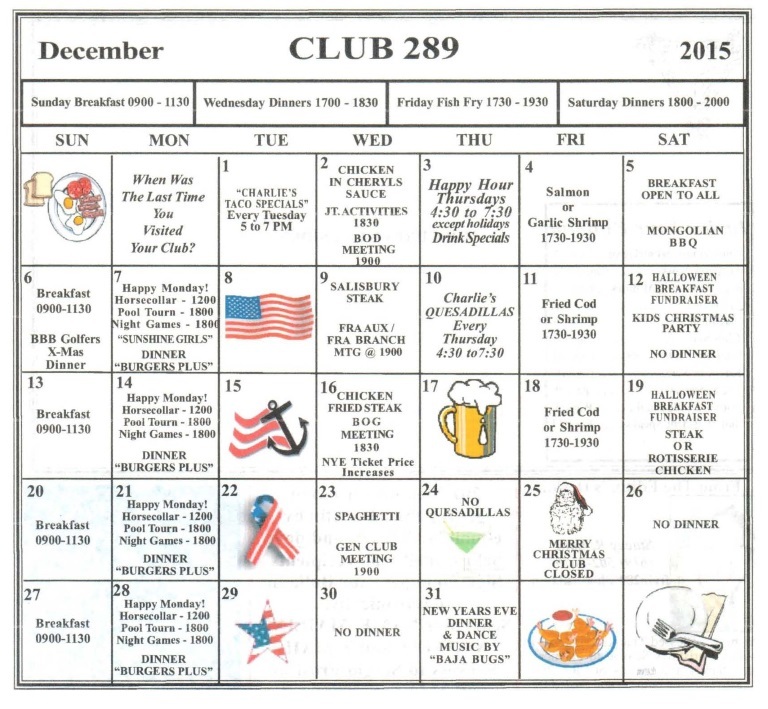 Check out the newly released Fleet Reserve Association Club #289 Schedule of Events and Activities for December 2015. Don’t forget about the Toys for Tots and their breakfast, dinners and other activities! Event Added to Calendar: FRA 289 member's only kids xmas party,on Dec 12th at 9am. The sign up sheet is in the club by the shuffleboard table. They can check with the duty manager if not sure!!! Thanks for checking out a great group that supports our community!